Tuite's 80th birthday Eugene A. Tuite's 80th birthday party August 16, 1991. It was at the "old" Company 3 firehouse. to accomodate new Engine 3, a 1991 Pierce pumper which would replace an 1981 Hahn, Engine 33. 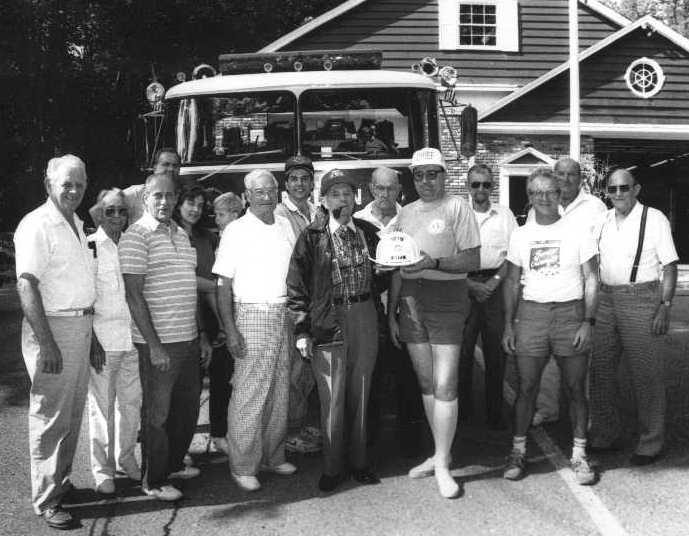 Gene Tuite, George Frey, Walt Roche, Harry Bott, Vic Filan, Gordon Cook, Norman "Doc" Decker.